Having played all of Bungie’s past titles (Editor’s note: Myth, anyone?!) as well as my fair share of Massively Multiplayer (MMO) time vortexes over the years I was more than curious to check out a portion the 500 million dollar behemoth that is Destiny. While the alpha was only a tiny smidgen of the main game I still managed to play for close to eight hours as the hunter class and hit the level eight level cap in about half that time. The good news about Destiny is that Bungie has not forgotten how to deliver a capable and fun shooter. You will run, you will shoot, and aliens will die in droves. The basic game mechanics feel not-unlike Halo with character speed and movement mirroring that of a slightly more nimble Master Chief. 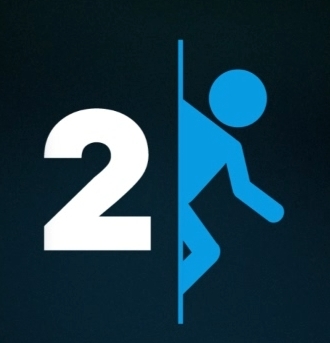 Destiny characters can slide, which is something that should be included in every shooter from now until eternity, because sliding is fun. Characters in Destiny can absorb a lot of punishment and have a shield meter that recharges when your character is not taking fire. Similar to it’s very distant cousin, Borderlands, Destiny also has a wide variety of guns to be found and looted with each with their own rates of fire and special perks. I was able to try out all of the gun types available in the alpha and they all looked great and handled well. Shooter fans will not be disappointed. Exploring post-apocalyptic Earth gave me flashbacks of exploring the Barrens in World of Warcraft for the very first time. There is something magical about wandering a vast open world and it’s always interesting to see what crazy stuff the developers put beyond the next hill. On the PS4 Destiny did look quite nice even though the post apocalyptic Russian landscape was mostly empty. 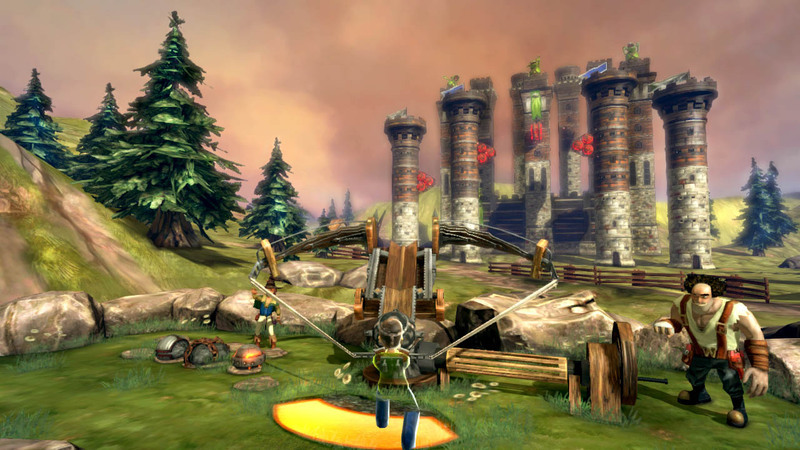 An MMO is only as good as its quests and littered throughout the landscape were small beacons which led to a variety of fairly bland quests and mundane tasks that needed doing. After exploring the landscape for about an hour I was a bit bummed see that the majority of the missions offered, at least in the alpha, were old fashioned deliver-this and kill-that quests. Anyone who has ever touched an MMO is likely familiar with the type. Luckily the mechanics of the game were good enough to help me overlook this. 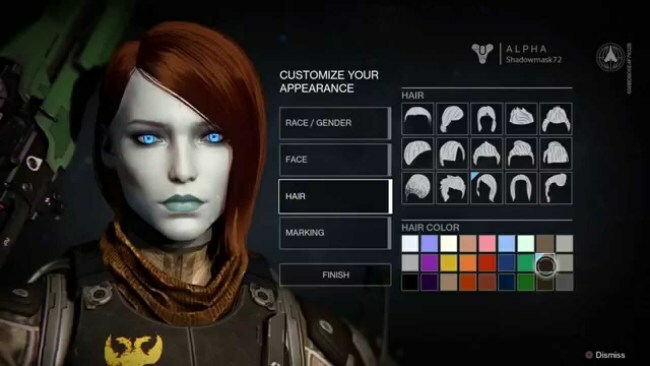 Unlike Halo, Destiny allows you to choose your character class, race, and gender. I was actually pretty surprised to see such a solid number facial customization options. Unfortunately I was a little sad to see that the current races offer no special abilities or bonuses of any sort and are purely cosmetic. The models for the characters are also exactly the same no matter what race you choose making the majority of players different by head and armor set only, and if my experience in MMO land has taught me anything it’s that it only takes a little while for everyone to be wearing the exact same “good stuff.” Rumor has it there will be a multitude of armor customization options including dyes in the final version, but having the bodies of the various races be a bit different sure would have been nice. I was also a bit bummed to find out that the main protagonist is not voiced at all, and while there is some solid voice work from NPCs, it’s a little strange to once again be playing as a cardboard “hero guy” in a modern game. I spent the bulk of the my time in the Destiny alpha as the hunter class. While the skill trees were limited, the main skills I was able to mess with included an improved grenade (which regenerated on a long timer for some odd reason), a double jump, a throwing dagger, and finally and an ability called golden gun. While it’s not really fair to compare Destiny’s alpha to other similar titles, I could not help but think of how much more robust the skill trees were in Borderlands 2. To clarify, the Golden Gun allowed the Hunter to summon a flaming pistol out of thin air (…okay) which he could then use to fire off three incredibly deadly rounds at the target of his choice. While the Golden Gun looked great visually, the cool down was incredibly long which made me reluctant to use the ability just in case I REALLY needed it later on. While I’m sure the golden gun ability improves with later unlocks, at its lvl-8 state it was next to useless and frankly pretty lackluster. My hunter also unlocked a throwing dagger that he could fling at enemies, but it too was on a comically long timer as of level eight. I have little doubt that these abilities likely become more enjoyable at higher levels, but at during the alpha they really weren’t all that dynamic or potent. 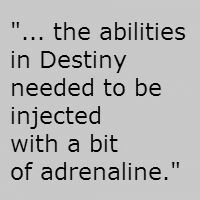 In an age of shooters where we can call down titans or endlessly “gunzerk”, I felt like the abilities in Destiny needed to be injected with a bit of adrenaline. 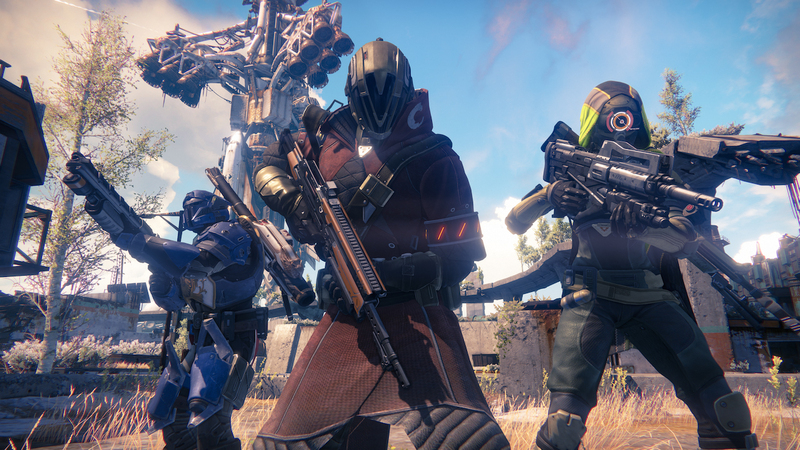 For those curious about how exactly Destiny is an MMO, the answer is a pretty simple one. Other players not on your friends list will show up in your game world from time to time on missions of their own. Of course its entirely up to you if you want to associate with these strangers but you’ll likely be seeing people with names like “IMAGAMERTAG” and “CHUBBYTREE” both in town and in the wild whether you like it or not. Structurally, Destiny just FEELS like an MMO with PVP armor vendors, class quests, and people standing around town with special symbols over their heads indicating they have something important to say. Let’s just hope all the missions aren’t of the delivery sort. Despite a few minor gripes my time with Destiny was positive and I do feel that the game has the capacity to be truly awesome when it is finally released this September. Most MMOs have always struggled to tell a cohesive story while keeping character progression slow enough to rake in those subscription fees and while Destiny will have no subscription fee of its own, its true success hinges on its ability to tell a compelling ongoing story within an MMO about shooting aliens. 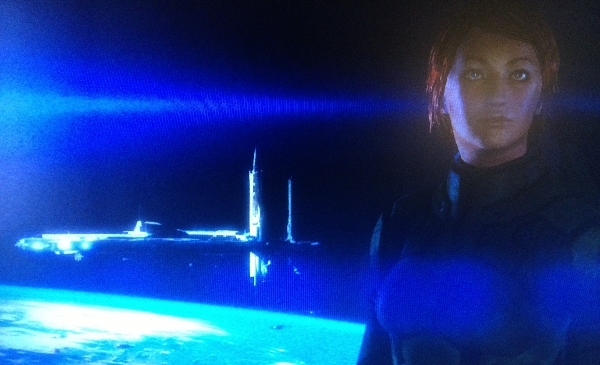 Scott climbs into the way-back machine to play the original Mass Effect for the last time… now… really? You’ve got to be Insane. 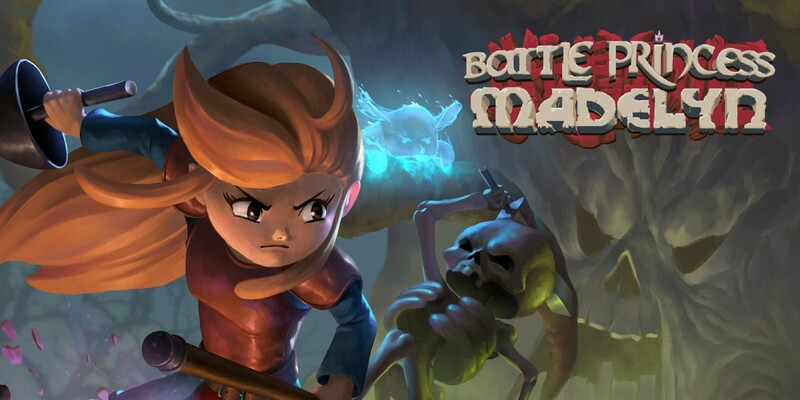 So far what I’ve seen of this game looks quite bland from a visual and gameplay perspective. IMO there needs to be some sort of explanation of how this game differentiates itself from other MMOs, shooters, or even the Borderlands games. At this point the appeal of Destiny seems like a matter of taste, which is not great considering how much money is being spent on development and marketing of this game. Hopefully the Beta will resolve some of these concerns.